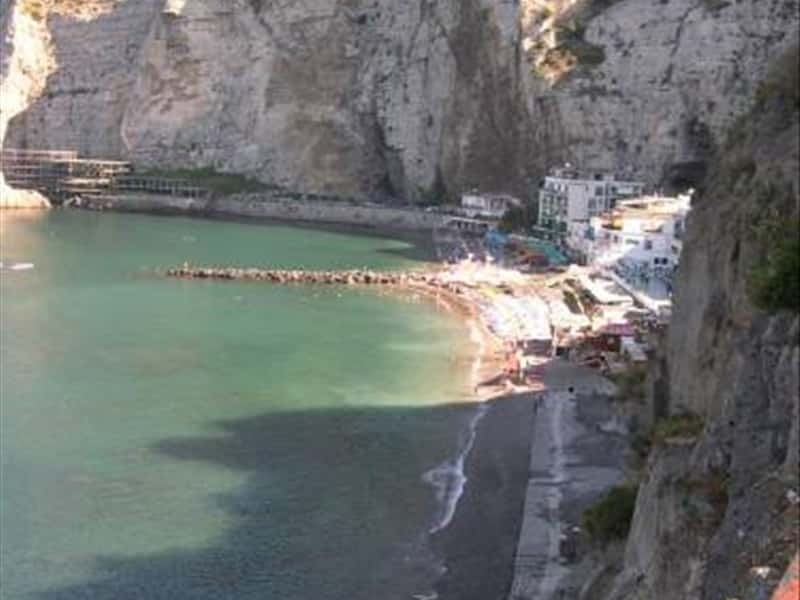 It is a picturesque touristic town, the second major centre of the area, located on the main road that connects Naples to Sorrento, after Vico Equense. The origins of the town's name are uncertain: for some historians, in fact, it derives from the Latin "meta" (with the meaning of "limit or boundary" referring perhaps to the Roman road that ended here; while for others it means "heap or hill" and, according to others, it derives from a Lombard term that indicates the bride's dowry. The climatic characteristics of the resort, already popular to the Greeks, were intensified by the Romans. The village developed through the Byzantine era and already in the IX century, the coastal area was reinforced with fortified towers, with the intent to defend the population against Saracen incursions. In the same period the inhabitants developed a strong vocation for shipbuilding and in the second half of the XIX century, in the district of Alimuri, the town already featured about 9.000mq of ship construction yards, with 8 ports and a daily requirement of 240 workers. Today Meta is a popular seaside resort, thanks to the beautiful beaches of Alimuri and Marina, with its beautiful XVIII century villas, surrounded by orange trees and geraniums. - the Basilica of Santa Maria del Lauro, erected, according to the local traditions, in a place where once was built a temple dedicated to the goddess Minerva. Initially dedicated to the Savior, it was later entitled to the Virgin Mary, after the discovery in 1206 of a statue of the Madonna dating from the VIII century under a nearby laurel tree. At present it features an elegant Neoclassical façade, flanked by a tall Bell tower and surmounted by an impressive majolica dome. Inside it is possible to admire a beautiful wooden carved portal of the XVI century, with inlaid XVIII century wooden cabinets and a marble pulpit of the XIX century. - the Church of the Holy Guardian Angels. This town web page has been visited 74,032 times.